I’m in Flat Rock, North Carolina. My dad and his wife live here. Today, nothing but blue skies and temperatures in the high 60s. Later today, I’m heading up to Asheville to run. Tomorrow I drive to Tennessee to spend the night with an old friend and run in Sunday’s Knoxville Half Marathon. Anyhow, if you’re ever in Flat Rock, don’t forget to stop by Hubba Hubba Smokehouse. It’s the official North Carolina BBQ joint of this blog and is but a stone’s throw from Carl Sandburg’s home. I spent yesterday morning at the Sandburg place. I was running the trails through the vast property. Like Vermont, Asheville is a hot bed of craft beer. It wouldn’t surprise me if today’s post-run festivities include some local fare. After all, when so close to Highland Brewing, why not make a vacation a Daycation? And, finally, to tie it to the number. Knoxville is 130 miles from my dad’s. And the trip starts on I-26. 130 + 26 = 156. A lawyer has a duty to reasonably consult with the client about the means by which the client’s objectives are to be accomplished. A. False. The lawyer controls the means. B. False. The lawyer shall abide by a client’s decisions with respect to the means by which the client’s objectives are pursued. D. It’s not clear from the rules. In representing a client, a lawyer shall not use means that have no substantial purpose other than to embarrass, delay, or burden a third person. B. Aspirational, and one would hope, but not a rule. D. Incivility is not unethical. Can a lawyer ethically ask someone other than a client not to volunteer relevant information to another party? B. Yes, if the person is a relative, employee, or agent of the client. C. Yes, if the lawyer reasonably believes that the person’s interests will not be adversely affected by not giving such information. I’m no poet, but given that I’m in the area . . . They are chums of the books of the old John Marshall. a dead man’s thoughts too well. What is there left, Bob? And find enough to fasten a tooth in? When a lawyer cashes in? The work of a bricklayer goes to the blue. The knack of a mason outlasts a moon. The hands of a plasterer hold a room together. The land of a farmer wishes him back again. Build a house no wind blows over. I’ve not said it in a while: competence includes tech competence. As many regular readers know, “it” is ESI, electronically stored information. Four years later, I sense that the issue continues to worry some lawyers. It should. Our world is replete with ESI. As such, and to the extent that the outcome of client matters turns on “information,” ESI can be incredibly important to clients and their matters. Especially litigation matters. NJ will table, for now, discussion whether to require lawyers who do not carry liability insurance to disclose that fact to prospective clients. Vermont does not mandate malpractice insurance. The issue, however, interests me. I’m particularly intrigued by the connection, if any, between Rule 1.4 and malpractice insurance. 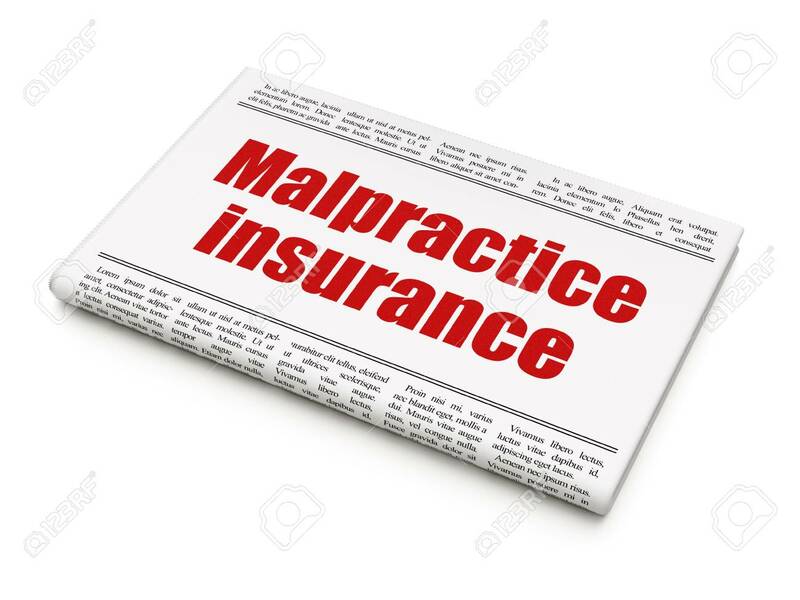 can a client make an informed decision to hire a lawyer without knowing whether the lawyer carries malpractice insurance? if a client asks, and the lawyer says “yes, I have malpractice insurance,” must the lawyer inform the client if, for whatever reason, coverage stops or is not renewed? Pros: protects the public, provides accountability. Cons: cost prohibitive, will encourage more claims. Middle ground: do not require insurance, but require lawyers to disclose whether they have it. I assume the discussion will continue. In Vermont, Rule 8.4(c) makes it professional misconduct for a lawyer to engage in a serious crime. Most who know me or follow this blog know that I’m not only a former high school basketball coach, but a huge fan of college hoops. Coupled with my day job, it’s not surprising then that so many have asked for my thoughts on Michael Avenatti. It’s something for many reasons. Including the fact that federal criminal charges of wire & bank fraud have been lost in the news shuffle. For over a year, the Adidas scandal has rocked major college basketball. The scandal involves allegations that Adidas executives, AAU coaches, and college coaches conspired to funnel money to the families of high-profile recruits. Earlier this month, three were sentenced for their roles in the scheme. More trials are scheduled for later this year. Shortly after noon on the east coast, Michael Avenatti tweeted that, today, he’d hold a press conference at which he’d disclose a “major high school/college basketball scandal perpetrated by @Nike.” As a basketball fan, I was intrigued as to which big-time coaches and players would be named. Alas, within 30 minutes of his tweet, Avenatti was in federal custody. SI.com has two stories on his arrest and arraignment: this one by former Vermont Law School professor Michael McCann, and another on how unusual the arraignment was. As the initial reports trickled out, I was confused as to how Avenatti could be charged with a crime. The stories seemed to suggest that, on behalf of a client, he asked Nike to settle potential civil claims in exchange for a confidentiality agreement. Again, McCann’s post includes the criminal complaint and sets out the allegations against Avenatti. In short, the federal government charges that Avenatti told Nike’s lawyers that he’d go public with the alleged scandal unless Nike (1) paid $1.5 million to his client; and (2) paid Avenatti and an unnamed co-conspirator either (a) between $15 million and $22.5 million to conduct an internal investigation into the alleged scandal; or, (b) $22.5 million to remain silent; or (c) double whatever it ends up paying any firm that it might hire to conduct the internal investigation. To me, an intriguing question is this: what if Avenatti and his client have evidence of another sneaker scandal? Already today, he’s taken to Twitter (1) to say that the truth will eventually come out; (2) accuse Nike of improper conduct; and (3) make allegations against players and Nike executives. Will he explore a cooperation deal to resolve his own charges? Would Nike’s lawyers have dropped the dime if they thought he actually had the goods? Anyhow, serious charges. And not the first against Avenatti this month. attempted to cover-up his crimes. That such allegations against a licensed lawyer are lost in the shuffle of the basketball-related charges is something. Welcome to the last March Monday! Spring is near, Friday’s questions are here. The answers follow today’s Honor Roll. Note: the fact that a client agrees to a fee does not necessarily make it reasonable. B. ACH transactions are prohibited on such accounts. Attorney represents an organization in a matter. Opposing Counsel knows that Attorney represent the organization in the matter. Without Attorney’s permission, Opposing Counsel discusses the matter with a former employee of the organization. Which is most accurate with respect to the Rules of Professional Conduct? A. Opposing Counsel violated the rules. C. Attorney violated the rules. There’s a lawyer who has been in the news an awful lot the past few years. Last month, he was forced to give up control over his own law firm after being accused of bankruptcy fraud. Specifically, he is alleged to have used various & nefarious accounting maneuvers to hide over $10 million in legal fees to keep from having to pay them to his firm’s creditors. 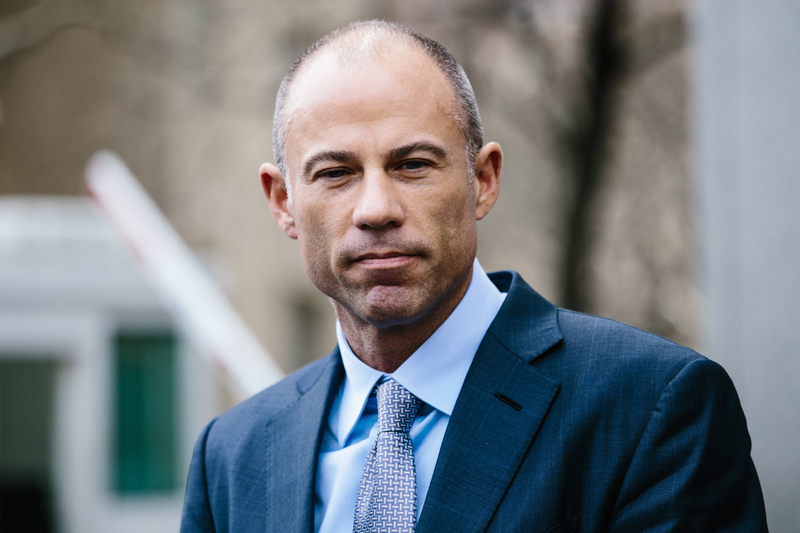 Michael Avenatti. The ABA Journal has the story here. From the shores of Lake Morey, welcome to the first #fiveforfriday of spring! The Vermont Bar Association’s 62nd Mid-Year Meeting opened last night. The evening’s seminar focused on wellness and the State Action Plan. A fantastic dialogue ensued. Many members of an engaged audience shared personal experiences with the various aspects of the profession that trigger anxiety and stress. One was raised more often than I expected: civility. Several folks mentioned that dealing with antagonistic and rude opposing attorneys is a significant source of stress. Simply, we don’t always treat each other very well. I get it: in an adversarial system that includes duties of loyalty and diligence to clients who are shouldering serious problems, it can be difficult. But it’s not impossible. And sometimes the little things can make the all difference. Last night, a lawyer shared a story. He recently went to a mediation with a client. The opposing lawyer was one he’d known for decades, but hadn’t caught up with in a long time. The mediation was stressful, and the lawyer continued to feel the effects of the stress that evening. “One day, an old man was walking along a beach that was littered with thousands of starfish that had been washed ashore by the high tide. As he walked he came upon a young boy who was eagerly throwing the starfish back into the ocean, one by one. Courtesy and respect. We need more of each in the air. Make a difference to someone today. It matters. A. Interest must be paid to the Vermont Bar Foundation. B. Opposing Counsel did not violate the rules. I am not a fan of lawyers who threaten other lawyers with disciplinary complaints. Actually, I take that back. It’s their threats, not the lawyers who make them, that I don’t like. Last week, an appeals court in Texas upheld a lower court’s order imposing a 4-month probated suspension on a lawyer who threatened another with a disciplinary complaint solely to gain an advantage in a civil matter. Law360 (sub. req.) reported the story. The opinion is here. Background: on behalf of a company he owned, Lawyer sued an insurance company for refusing to pay a claim after a fire. An issue at trial was why Lawyer had waited so long to report the claim. He argued that he’d delayed reporting on the advice of counsel. So, the insurance company sought testimony and discovery from Lawyer’s counsel, prompting Lawyer to assert the attorney-client privilege. Attorneys for the insurance company made several arguments that Lawyer had waived the privilege, including the crime-fraud exception. At Lawyer’s request, the court held an evidentiary hearing on the crime-fraud exception. The court found that it applied. The trial of the coverage claim resumed. Now, Vermont doesn’t have a rule that specifically prohibits threatening a disciplinary complaint to gain an advantage in a civil matter. Rather, we have Rule 4.5, which prohibits presenting, or threatening to present, criminal charges to gain an advantage in a civil matter. (b) A lawyer shall not present, participate in presenting, or threaten to present (1) criminal or disciplinary charges solely to gain an advantage in a civil matter. Lawyer argued that he made the threat to clear his name and, therefore, it was not made “solely” to gain an advantage in the civil trial. He also argued that “gain an advantage” means a quid pro quo in which he’d have received something in return for not filing the complaint. The court rejected each argument. With respect to the latter, the court noted that Lawyer gained the advantage of distracting the opposing attorney from focusing on preparing and presenting his case. The court noted that the suggestion of such improper influence is an “abuse” of the system that lessens public confidence in the profession. It’s Wellness Wednesday! Or, better yet, it’s Well-Being Wednesday. At tomorrow’s Mid-Year Meeting of the Vermont Bar Association, I’m presenting a CLE that will include a discussion of attorney wellness. The seminar will open with a look at the recommendations made by Vermont Commission on the Well-Being of the Legal Profession in its State Action Plan. The Commission grew out of a report from the National Task Force on Lawyer Well-Being: The Path to Well-Being: Practical Recommendations for Positive Change , a report, in turn, that grew out of the ABA/Hazelden study that found ““substantial and widespread levels of problem drinking and other behavioral health problems in the U.S. legal profession.” You can read more about the Hazelden study here. In short, the study showed that the profession isn’t well. It suffers from a behavioral health problem. That’s wellness, or more to the point for the profession, a lack thereof. Well-being is different. To oversimply, I view it as the proactive steps we take to stay healthy & happy. While funding a Lawyers Assistance Program that will help lawyers who are facing serious health issues is important, so is well-being. As they say, an apple a day. On Monday, an attorney called me with an ethics inquiry. I’m all about mixing business with pleasure, so we also chatted about basketball. Specifically, tomorrow’s UVM v. Florida State game in the opening round of the NCAA tournament. Tip-off is at 2:00 PM in Hartford, CT.
As I’ve blogged, make time for what matters. Family time matters. For more great ideas on well-being and how to make it part of your office culture, check out the ABA’s Well-Being Toolkit Nutshell: 80 Tips for Lawyer Thriving. It’s a cool little flier that is chock full o’ tips and links to other resources. Also, if you work in a firm, consider the ABA’s Well-Being Pledge. The list of signatories grows by the day. I’m about to sanction myself for failing to detect a conflict. Long ago, I agreed to speak at Thursday’s VBA Mid-Year Meeting. The seminar falls on the same day that UVM plays an NCAA tournament game within driving distance. Answer “A” is one of the factors to be considered when analyzing the reasonableness of a fee. See, Rule 1.5. The other 3 require withdrawal pursuant to Rule 1.16(a). A contingent fee in a civil case.